squire: Just a few random musings on various sources that may have played a part in Tolkien’s composition of this chapter. Sourcing Tolkien is a mug’s game, of course, but it’s so much fun to look at all the material in the course of preparing an argument, we all do it anyway. squire: Getting back to those wonderful passages on the herbs and plants of Ithilien, I’ve been looking around for confirmation of what I’ve always held in my head when reading this chapter: the idea that Tolkien was consciously echoing the classical pastoral tradition. Here are some examples that I found. A. Do you see any connection? Do you see any differences? Owlyross: Ithaca in the Odyssey Seems another parallel. The descriptions of the vegetation, the herbs, the Olives, the whole thing echoes Homer to me, and paticularly when Odysseus when he returns to Ithaca. The way the landscape is described is very similar. dernwyn: Tolkien undoubtedly enjoyed using his Classical influences - nice comparison, there! squire: Ithilien: an anti-Pastoral fantasy Although I see a strong connection between Tolkien's descriptive prose passages on the herbs and plants of Ithilien, and the Classic pastoral tradition exemplified by the bits of poetry I've cited, there is also a very strong difference. Put simply, it is the difference between tamed and wild landscapes. The classic pastoral assumes that the countryside is farmed, gardened, or grazed by man for man's benefit. Pastoral is linked to pasture: fields set aside for grazing animals like sheep or cows. The pastoral poet, obviously lettered and urbane, takes the guise of a simple farmer or shepherd -- in an implicit (sometimes explicit) contrast to the man of affairs, the town, or even war. Europe's landscape has been cultivated and tamed for thousands of years. Any other situation just never comes up in classical writing - among other reasons, it's hard to write classical poetry when the civilization that supports poetry has collapsed. 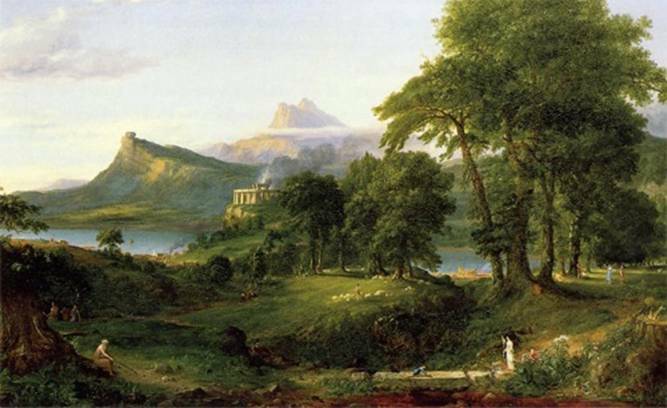 The Europeans took a tamed landscape for granted, even as they celebrated its freedom and natural beauty compared to urban life. Tolkien is describing something quite different. Ithilien was farmed and cultivated once, but is now abandoned by men. It is returning to the wild. And Tolkien is not writing an elegy, a regret, for the lost hand of man: he is celebrating growth for growth's sake, he sings of trees and bushes and herbs that flourish without Man's guiding hand. Spenser praises "Terebinth good for Gotes" -- Tolkien praises "Pungent terebinth." "Many great trees grew there, planted long ago, falling into untended age amid a riot of careless descendants"
This is a most telling line. Men planted the trees, but the trees are now great, untended, and wild. The trees have become "careless" of their own use to Man, and the "riotous" younger trees know nothing of man at all. The tone of this line is careless itself: it does not entirely disapprove of this unexpected development. Indeed, Tolkien's overall tone is to enjoy the freedom and beauty of these wild plants, which have transcended the human demands of usefulness and exist only for themselves. Rather than being a reprise of the Shire, which is a true pastoral landscape, Ithilien is trans-pastoral--almost the anti-Shire--what the Shire might become were it ever to be abandoned. I leave for others the problem of how Sauron (future) and the Elves (past) fit into this eco-moral schema. squire: B. For Ithilien, and in general: given that Tolkien studied Latin and Greek for years and majored in Classics at Oxford until he switched to English, what’s your feeling about The Lord of the Rings: primarily ‘Northern’ – or eclectically Northern and Classical? ‘Euromythlit’, so to speak? This summer dna suggested that Faramir and the Rangers of Ithilien were based on Robin Hood and his Merry Men. We do know this of Tolkien as a child: “He did not enjoy Treasure Island . . . 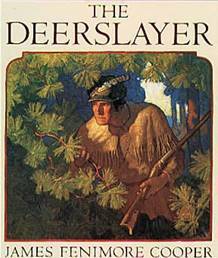 But he liked Red Indian stories and longed to shoot with a bow and arrow.” – Tolkien: A Biography, by Humphrey Carpenter, p. 22. Perhaps dna is on the right track after all! squire: C. Do you see anything of the medieval legend of Robin Hood in Faramir and his Rangers? Do you see anything of “Red Indian” stories (i.e., 18th and 19th century stories of American Indians such as those told by Fenimore Cooper) in this episode? Do you see anything of the woodcrafty Boers ambushing arrogant British convoys under the hot southern sun, in the years of Tolkien’s childhood? fireandshadow: faramir as robin hood That would make Sauron prince John, and Aragorn a kind of King Richard. Imagine faramir and aragorn in tights! an seleichan: forever spoiled by TH White and his "dark and stilly womb of night", in the woods with Robin, Arthur and Kay as they get ready for battle. And since I read Once and Future King a million times prior to reading LOTR, I always tended to get the two scenes a little confused. I can see Faramir as Robin in the casual leadership, in the woodslore, and in the clothing. But nothing about Faramir is very similar to Robin, at least Robin a la OAFK, which was my only exposure. Except for Ivanhoe, but I've not read that for decades now. 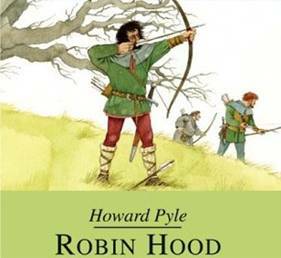 Still, there is so much similarity between the Robin of old English tales and the Faramir of LOTR in place setting and clothing, and leadership of a small band of men...it has to have some significance. Now, what's even weirder is the phrase "dark and stilly womb of night", which is one of those vivid word-pictures that I tend to remember all my life like song lyrics: where does it come from? Since I'm not really a scholar but just play one in the RR :-), I've had to figure this out for myself. For many years, I thought TH White made up the word "stilly", but as I read more, (and also, as I cheated and looked it up in the OED), I realized it was an old word. And lo and behold! The secret whispers of each other's watch." Beholding him, plucks comfort from his looks"
Harry and his band of brothers do also somewhat remind me of Faramir and his crew. 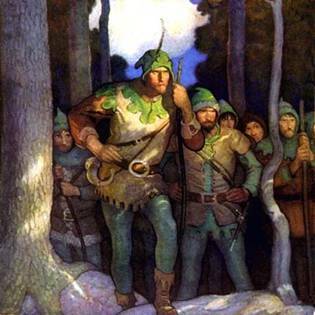 I think there was a lot of this kind of stuff in Tolkien's mind when he wrote of the band of soldiers dressed in green and brown in the woods, quiet, surrounded by foes. an seleichan: Tolkien liked archaic words There! on-topic! Thanks for that, I admit to not remembering that, if I ever read it...although it is in one of my poetry books upstairs. Darn! 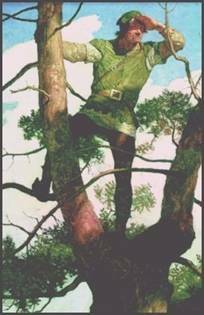 Both the Ithilien Ranges and Robin Hood's men know the advantages of using camouflage with guerilla tactics. Tolkien may have had this particular English legend in the back of his mind; but the two groups have dissimilar agendas, and I'd say the Rangers are more akin to WWI warfare, ground troops trying to protect the errant locals from a foray at hand. Here’s how Tolkien writes his “battle scene”: We see men cross ‘upstage’ from left to right, then hear horns and fighting noises offstage. The hobbits’ guards, looking toward the battle, describe for us what is happening. We hear the hero shouting in the distance. Then one soldier comes on stage and collapses face-down, and Sam, speaking for the dead man, gives a quiet soliloquy on the tragedy of war. squire: D. Was Tolkien copying Shakespeare here (OK, Sir Francis Bacon)? 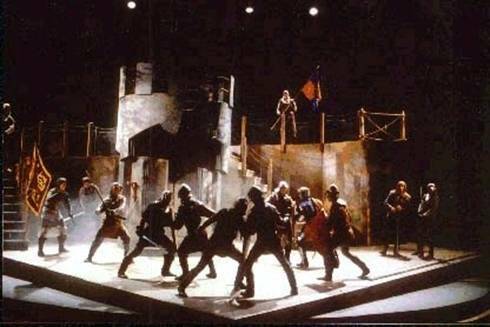 Why portray this battle (or any battle) “off stage”? dernwyn: And I wouldn't put it past him to try to one-up Shakespeare with Sam's "Friends, Rangers, Southern country-men" soliloquy, considering how disappointed he seemed to be with The Bard. Why portay a battle off-stage? Because of the point of the scene: here, the battle is not what's important, rather the emphasis is on the Hobbits and their perspectives.